Sleek, agile and beautiful, the leopard is a superb hunter due to its speed and ability to climb trees, even with a heavy carcass. Injured leopards are known to attack humans; ‘Panar Leopard’ in India killed up to 400 humans, after being attacked by a poacher. He was finally killed by Jim Corbett, founder of the wonderful Corbett Tiger Reserve in Uttarakhand. 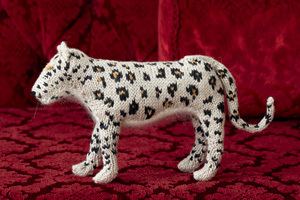 Leopards are often used in coats of arms as they symbolize power, strength and mystery. The leopard is an adaptable animal – the panther is a leopard that lost its spots, and the snow leopard, a close relative, is off-white with spots, to blend with its snowy habitat.